Fifteen months after Hurricane Harvey, all the fighting with the insurance company and the courts is finally over and we finally have begun repairing the damage to the church facilities. 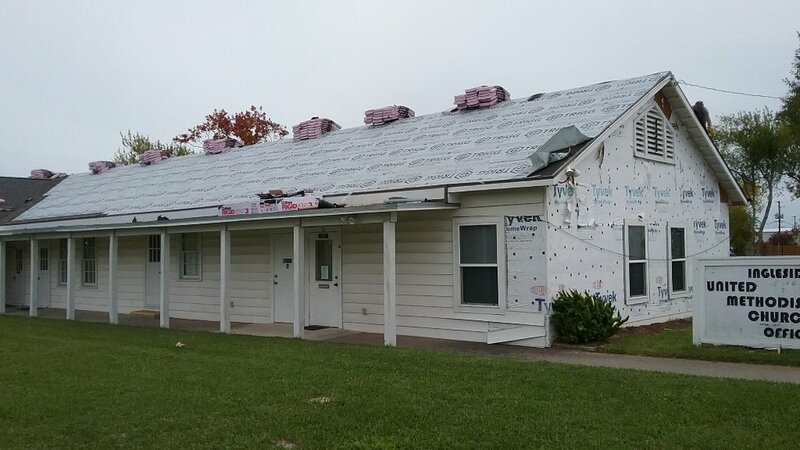 Fellowship Hall and Church receiving a new roof. Siding being replaced on Church Office. Sanctuary receiving a new roof. Starting work on the siding of the Sanctuary.